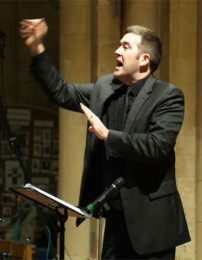 Bryan Postlethwaite is currently a Lead Practitioner and Head of Music at Wyvern College. A graduate of York University, he won a scholarship to study on the prestigious postgraduate performance course at the Guildhall School of Music and Drama. Bryan graduated from Guildhall with distinction and continued his studies at Southampton University gaining a Postgraduate Certificate in Education. Bryan became Head of Music at Wyvern College in 2004 and, over the past 14 years, the department has grown in strength and reputation. Many of the college’s ensembles have received national recognition. Bryan enjoys working in the choral tradition and has directed Wyvern Community Choir for over ten years. In his role as Associate Music Teacher at Barton Peveril Sixth Form College, Bryan enjoys teaching A-Level composition and harmony as well as directing a number of the college’s ensembles. Bryan is an active jazz pianist and performs regularly with some of the best jazz musicians in the south.